Thomas Dunne Books, 9780312591144, 336pp. But the weatherworn fishermen of the fishing vessel Northwestern have stories that don’t come through on TV. For Sig Hansen and his brothers, commercial fishing is as much a part of their Norwegian heritage as their names. Descendants of the Vikings who roamed and ruled the northern seas for centuries, the Hansens’ connection to the sea stretches from Alaska to Seattle and all the way to Norway. And after twenty years as a skipper on the commercial fishing vessel the Northwestern--which was his father’s before him--Sig has lived to tell the tales. To be a successful fisherman, you need to be a mechanic, navigator, welder, painter, carpenter, and sometimes, a firefighter. To be a successful fisherman year after year, you need to be a survivor. 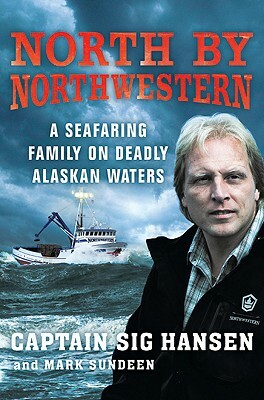 Sig Hansen is the captain of the commercial fishing vessel "Northwestern." He has been featured on Discovery Channel's "Deadliest Catch" from the pilot through every season of the show. Mark Sundeen is a contributor to "Outside," "New York Times Magazine," "National Geographic Adventure," "Men's Journal," and "McSweeney's." He is the author of "The Making of Toro" and "Car Camping."